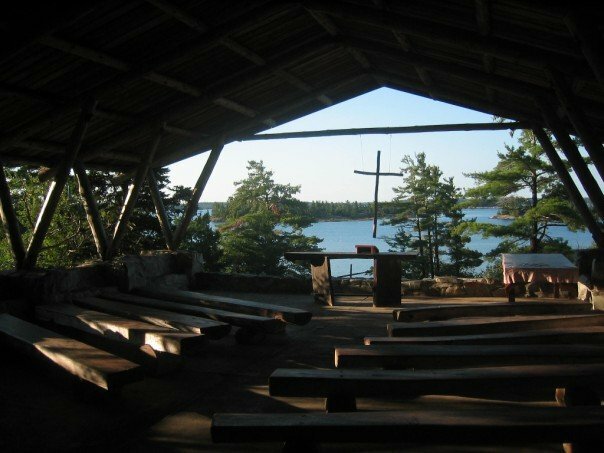 This year marks the 31st annual Youth Synod at beautiful Camp Manitou Bay of Islands . Camp Manitou is located approximately one hour west of Sudbury, Ontario on the shores of Georgian Bay. Access is by boat only. Camp Manitou Bay of Islands is wonderfully rustic with rugged, rocky terrain and limited access to electricity. The theme for Youth Synod this year is Christians in Action. Throughout the weekend we’ll be hearing from several experienced Christian leaders from across the Diocese of Algoma about living the Christian life in today’s world as they engage delegates in discussion on topics such as prayer, studying the Bible, serving our churches and reaching out to the world around us. Daily camp activities are a mix of discussion sessions, chapel time, swimming, canoeing, kayaking, hiking, group games and sports, campfires and free time for reflection and for having fun with friends. Cost: Each parish within the Diocese is committed to supporting the cost of one youth delegate to Youth Synod ($170). For parishes desiring to send more than one delegate you may wish to ask groups within your parish if they would be willing to sponsor additional youth. You may also speak with your Deanery Child & Youth Ministry Facilitator to see if there are other funds in your deanery available to assist you. Travel: Your travel is arranged and paid for by the Diocese of Algoma, unless you prefer to travel on your own. You will be contacted via e-mail with more information about travel arrangements closer to Youth Synod. Delegates will receive a welcome package (including a sample schedule and suggested packing list) from the registrar once a delegate’s registration form and accompanying fee is submitted. Please note that the deadline for registration is June 15, 2016. For further information please contact our Algoma Deanery Child & Youth Ministry Facilitator: Rev. Pamela Rayment 705-206-6982 (cell) or email. May 11, 2016 in Child & Youth Ministry, Community, Learning, Miscellaneous. ← The ACW will be a Rockin’ and a Rollin’!